Patients with resistant hypertension (RH) have a high risk of developing cardiovascular events; therefore, new therapeutic approaches to better control blood pressure may be useful in improving cardiovascular outcomes. The prevalence of obstructive sleep apnea (OSA) is very high among patients with RH. Continuous positive airway pressure (CPAP) has been shown to be an effective treatment for reducing blood pressure in patients with RH. Nevertheless, the long-term effect of CPAP treatment on cardiovascular outcomes has not been explored. The main objective of the SARAH study is to assess the impact of OSA and its treatment on cardiovascular outcomes (morbidity and mortality) in patients with RH. This study is a multi-center, prospective, observational cohort study. A total of 1371 patients with RH will be enrolled in the study and followed once a year for five years. At inclusion, ambulatory blood pressure monitoring (ABPM) and a sleep study will be performed in all subjects. Socio-demographic, clinical and cardiovascular variables will be collected at baseline and follow-up. Subsequently, subjects with OSA will be managed according to local standard practice. Based on the OSA diagnosis and its treatment, three cohorts of subjects with RH will be defined: non-OSA, treated OSA and non-treated OSA. This study will contribute to elucidating the long-term impact of OSA treatments on blood pressure control and cardiovascular outcomes in patients with RH. These results will contribute to improve the cardiovascular prognosis of patients with RH. Los pacientes con hipertensión resistente (HR) tienen un elevado riesgo de desarrollar eventos cardiovasculares; así, las nuevas estrategias terapéuticas para el control de la presión arterial podrían ser útiles para mejorar los resultados cardiovasculares. La prevalencia de la apnea obstructiva del sueño (AOS) es muy elevada entre los pacientes con HR. Se ha demostrado que la presión positiva continua en la vía aérea (CPAP) constituye un tratamiento efectivo para reducir la presión arterial en pacientes con HR. Sin embargo, todavía no se han estudiado los efectos a largo plazo del tratamiento con CPAP sobre los resultados cardiovasculares. El principal objetivo del estudio SARAH es evaluar el impacto de la AOS y su tratamiento en los resultados cardiovasculares (morbilidad y mortalidad) en pacientes con HR. Este es un estudio observacional prospectivo multicéntrico en el que se incluirán 1.371 pacientes con HR, a los cuales se les realizará seguimiento una vez al año durante 5 años. En el momento de la inclusión se realizará a todos los pacientes monitorización ambulatoria de la presión arterial (MAPA), así como un estudio de sueño. Se recogerán las variables sociodemográficas, clínicas y cardiovasculares tanto al inicio del estudio como durante el seguimiento. Posteriormente, los individuos con AOS serán tratados de acuerdo con la práctica clínica estándar de cada centro. Se definirán 3 grupos en función del diagnóstico de AOS y su tratamiento: sin AOS, con AOS en tratamiento, con AOS sin tratar. Este estudio contribuirá a averiguar el impacto a largo plazo del tratamiento de la AOS en el control de la presión arterial y los resultados cardiovasculares en pacientes con HR. Asimismo, estos resultados contribuirán a mejorar el pronóstico cardiovascular de los pacientes con HR. According to the American Heart Association, resistant hypertension (RH) is defined as a clinical condition in which the blood pressure (BP) remains above the goal, despite lifestyle changes and pharmacologic treatments with optimal doses of 3 antihypertensive drugs (including a diuretic) or patients whose BP is controlled by no less than 4 antihypertensive agents.1,2 The prevalence of RH is estimated to be approximately 12–15% in subjects being treated for hypertension.2–4 Patients with RH have a high risk of developing cardiovascular events such as myocardial infarction, stroke or even cardiovascular death, and the ratio of cardiovascular events is approximately 50% higher in patients with RH than in patients with other types of hypertension.5 Therefore, therapeutic strategies facilitating BP control in these patients might achieve a great benefit in decreasing the incidence of cardiovascular events. Based on epidemiological data, systemic hypertension is strongly associated with obstructive sleep apnea (OSA),6,7 which has important implications for cardiovascular outcomes. Therefore, in the current study, we aim to determine the impact of OSA and its treatment on BP control and cardiovascular outcomes in patients with coexisting RH and OSA. The BP reduction reported in short-term trials has been hypothesized to be associated with a reduction in the incidence of cardiovascular events; nevertheless, long-term studies are lacking. The main objective of the SARAH study is to determine the impact of OSA and its treatment on cardiovascular outcomes (morbidity and mortality) in patients with RH. The secondary objectives are listed below. (1) Evaluate subclinical organ damage and determine whether treating OSA improves BP control and reduces the number of medications required for long-term BP control. (2) Identify epigenetic profiles and clinical, biological and polygraphic variables with value in predicting cardiovascular outcomes in patients with both RH and OSA and determine epigenomic changes related to cardiovascular disease that can be modified by time or CPAP treatment. (3) Validate the use of the HIPARCO-Score in men from an independent cohort and identify a singular cardiovascular system-specific miRNA biomarker profile that reliably distinguishes patients with favorable BP responses to CPAP among female patients with RH and OSA. (4) Perform a cost-effectiveness analysis to evaluate the impact of OSA diagnosis and treatment in patients with RH. This multi-center, prospective, observational, cohort study includes 1371 subjects with RH. Participants will be recruited consecutively in the Hypertension or Nephrology Unit of each participating center. The estimated duration of the study is 7 years (the recruitment is expected to be completed in two years). The study is led by the coordinating center (Hospital Arnau de Vilanova-Hospital Santa María, Lleida), which has the overall responsibility for the study design and follow-up. RH will be diagnosed based on the American Heart Association guidelines1 and confirmed by 24h of ambulatory blood pressure monitoring (ABPM). Patients who meet all inclusion criteria and none of the exclusion criteria will be invited to participate in the study (Table 1). All enrolled will undergo a sleep test using either polysomnography (PSG) or a respiratory polygraph (RP). Apnea is defined as an absence or reduction of airflow of at least 90% of airflow lasting≥10s. Hypopnea is defined as a reduction in airflow (30-90%) lasting≥10s associated with arousal or oxygen desaturation (considered a decrease in oxygen saturation (SaO2)≥4%). The Apnea Hypopnea Index (AHI) is defined as the number of apneas plus hypopneas per hour of sleep or recording, depending on whether the PSG or RP is used, respectively. According to the AHI, OSA will be classified as mild (AHI 5–14), moderate (AHI 15–29) or severe (AHI≥30).19 Treatment recommendations will be based on the guidelines of each country according to usual clinical practice. Abbreviations: AHA, American Heart Association; OSA, obstructive sleep apnea; RH, resistant hypertension. The study will consider 3 cohorts distributed as follows: (i) non-OSA (patients without OSA); (ii) treated OSA (patients who are treated with CPAP or a mandibular advancement device or who have undergone surgery) and (iii) non-treated OSA (because of a medical decision, refusal of treatment or intolerance/poor adherence). The general framework of the SARAH project is shown in Fig. 1. General framework of the study. All patients will be evaluated at baseline, and a minimum follow-up of 5 years has been established. During the follow-up period, an annual programmed visit will be conducted for all participants. The following variables will be collected at baseline: (i) socio-demographic characteristics; (ii) clinical variables: toxic habits, comorbidity, BP, pharmacological treatment related to hypertension, and therapeutic compliance; (iii) variables related to OSA: PSG or RP variables, Epworth Sleepiness Scale (ESS) and other symptoms; (iv) quality of life (EuroQol-5D) and costs; (v) fasting blood and urine samples and 24-h urine analysis; and (vi) asymptomatic organ damage. Blood and urine samples will be obtained with the support of IRB-Lleida Biobank (B.0000682) and Biobanks’ Platform PT13/0010/0014. More detailed information regarding the recorded variables is provided in the supplemental material. In each follow-up visit, blood and urine samples will be obtained, and anthropometric data, BP variables, the use of antihypertensive treatments (number of drugs and compliance) and the incidence of new cardiovascular events will be assessed. Moreover, patients treated with CPAP will be monitored for compliance. The degree of compliance will be determined by dividing the number of hours of use (obtained from the internal clock of the CPAP device) by the number of days of treatment. Adequate compliance is defined as CPAP use≥4h/day. Additionally, costs will be recorded at every visit. Direct costs will be estimated based on the clinical records of each participating center using standard fees provided by the corresponding Department of Health in each of the study areas. The primary outcome will be a composite of the cardiovascular endpoints of death from any cardiovascular cause, cardiac events (non-fatal myocardial infarction, heart failure, atrial fibrillation, or hospitalization for unstable angina), cerebrovascular events (non-fatal stroke and transient ischemic attack (TIA)), hypertensive crises and emergencies, peripheral arteriopathy or revascularization procedures. These outcomes will be collected from the subjects’ interviews at each yearly follow-up visit in the office and from computed medical records. All cardiovascular events will be independently evaluated by two physicians to establish a diagnosis. In cases with a disagreement, a third external physician will assess the case. The date of each event will be recorded. Other secondary endpoints, such as kidney disease and all-cause death, will also be assessed. A more detailed description of the outcome variables that will be assessed is provided in the supporting information (see “Methodology” section). An interim analysis is planned to be performed when half of the sample of each group had completed the 5 years follow-up to test the main hypothesis, it is, to compare the incidence/recurrence of cardiovascular events applying a significance level of 0.003, which has been penalized using the O’Brien-Fleming method to maintain a global type I error of 5%. First, a comparability analysis among the three groups (non-OSA, treated OSA and non-treated OSA groups) will be performed with respect to clinical and anthropometric, biochemical, and baseline OSA-related variables. For this purpose, means and standard deviations, as well as medians and interquartile ranges for quantitative variables and the absolute frequencies and percentages for qualitative variables. Parametric (ANOVA) or non-parametric (Kruskal–Wallis) tests will be used to compare quantitative variables between groups, depending on the distribution of the variables (if a normal distribution is assumed, a parametric test will be performed). For qualitative variables, the chi-squared test will be used to compare differences between groups, unless the expected frequencies below are less than 5, in which case, the Fisher test will be preferred. The Benjamini-Hochberg (“BH” or its alias false discovery rate (“fdr”)) correction for multiple tests will be used as appropriate whenever comparisons between pairs of groups are performed. Second, Kaplan–Meier curves and a log-rank test will be used to assess the relationship between the time to the development of a new cardiovascular event (incident or recurrence) with each one of the qualitative variables and the tertiles of the quantitative variables, both independently and combined with the group definition, thus allowing for a possible interaction between OSA and its treatment. Third, the time to the development of a new cardiovascular event (incident or recurrence) will be analyzed by considering non-cardiovascular deaths as competing risks in a Fine and Gray model and in a cause-specific multivariate regression model. All variables showing a significant contribution to the model and variables showing a confounding effect over other significant contributing variables in the model will be included. The interactions among each of these variables and the group (non-OSA, treated OSA and non-treated OSA group) will be assessed and included in the model if significant. When multiple interactions with the group are observed, a stratified regression analysis for each group will be performed. Finally, the same analytical strategy will be used to model the time until cardiovascular death. Overall survival will be modeled by fitting a Cox proportional-hazards regression model. All analyses will be performed with the R package, using a significance level of α=0.05. An interim analysis of the results will be performed when half of the targeted numbers of patients have completed the five-year follow-up. The results may lead to the discontinuation of the study if either (i) statistically significant results (implying a greater than hypothesized effect of OSA diagnosis and treatment) are observed or (ii) the results do not reach the expected magnitude (regardless of whether they are statistically significant) and a continuation of the study would clearly be insufficient to detect any significant differences in cardiovascular outcomes among the groups. For this analysis, the main hypothesis will be tested using a threshold for significance of 0.003 with the O’Brien-Fleming method to calculate this penalization of the p-value, which maintains a global type I error of 5%. Upon completion of the follow-up study, a cost-effectiveness analysis will be performed. The aim of this analysis is to compare the effectiveness ratios among study groups and to compare the cost of health care utilization between two years before and after the beginning of the study for the study groups. The costs will be estimated based on the clinical records of each participating center and standard fees provided by the corresponding Department of Health in each of the study areas. Direct costs will be recorded in a costs questionnaire at baseline and at each follow-up visit and the overall costs will be computed. Only direct costs will be considered. Analyses will include an estimation of the quality-adjusted life-years (QALYs) gained. Costs incurred by each group will be evaluated based on the effectiveness of the provided health care related to the above-mentioned primary outcome (a composite of CV endpoints) using Bayesian cost-effectiveness techniques. The study will be managed according to the guidelines and principles of the Declaration of Helsinki and standard ethical conduct for research involving humans. Moreover, the study will also guarantee the Protection of Personal Data (Law 15/1999-Spanish Government) during the study. It will preserve the confidentiality of the participating subjects, and the protection of their information will be guaranteed. The Ethics and Clinical Research Committees of all participating centers have approved this study. All study subjects will provide informed consent before participating in the study. This study is registered at ClinicalTrials.gov (Identifier: NCT03002558). The coordinating center (Hospital Arnau de Vilanova-Hospital Santa María, Lleida) will elaborate the protocol to standardize the procedures and data collection and will train participating personnel in methods to implement these protocols. The center will provide instructions for entering data into a specific database, guaranteeing the data protection. The SARAH study has a clinical events committee (CEC) that will be responsible for evaluating all reported primary and secondary outcomes. There are previous published studies reporting BP reductions with CPAP treatment in patients with RH and OSA.14,16,17,22,23 Moreover, there is also evidence that reductions in systolic blood pressure could lead to a decrease of cardiovascular risk.24 Therefore, based on the existing literature, it would be unethical to performance a randomized trial and that is why an observational cohort design was considered. It is important to note that the previously published studies evaluated the effect of CPAP on BP reduction at short-term without any follow-up period longer than 6 months. Thus, there is a lack of studies evaluating the effects on BP at long-term and the impact of CPAP treatment on cardiovascular outcomes. Therefore, the SARAH study will fill this existing gap involving a large number of patients and with a long follow-up. Moreover, the observational design will allow for “real life” results, not biased by any special procedures beyond the standard care provided in each center and it will be more feasible to extrapolate the results to the clinical practice. The observational design presents limitations that deserve mention. First, two different methods for the OSA diagnosis are used. Nevertheless both methods are validated and implemented in clinical practice. Second, OSA patients who refused CPAP treatment will be considered into the non-treated group, regardless, these patients could have a different profile form those in whom treatment is not offered. This prospective observational multi-center study aims to assess the impact of OSA and its treatment on cardiovascular outcomes in patients with RH. Significant impacts on two different areas are expected. On one hand, the SARAH study will shed light on the clinical implications of the association between OSA and RH and will assess the impact of OSA treatment on cardiovascular outcomes. According to several studies and meta-analyses, CPAP treatment improves BP control in patients with both hypertension and OSA, although the effect is mild. However, in patients with RH, CPAP treatment have yielded a significant decrease in BP.25,26 Nevertheless, most of these studies evaluated BP over a short period and did not perform a long-term evaluation.19 Furthermore, the use of a greater number of antihypertensive medications, even in patients with good BP control, did not ameliorate the long-term risk of adverse cardiovascular events in a cohort study.20 Therefore, the implementation of non-pharmacological strategies that simultaneously reduce BP and act through different mechanisms may be helpful in improving outcomes. On the other hand, this study will also contribute to the identification of epigenetic profiles and clinical, biological and polygraphic variables with value in predicting cardiovascular outcomes in patients with both RH and OSA. Thus, individuals who are more susceptible to developing cardiovascular events would be able to be identified. Therefore, the SARAH study will also contribute to the validation and development of new tools to predict the BP response to CPAP treatment in patients with RH and will enable the development of new tools that might influence the management of patients with RH in daily clinical practice. Despite the reported association between OSA and RH and the described short-term effect of CPAP treatment on BP, the diagnosis of OSA in these patients is not standardized. Thus, acceptance of the relevance of the results of the SARAH study would influence clinical practice and might consequently require changes in the current recommendations and guidelines for the diagnostic assessment and treatment of patients with RH. 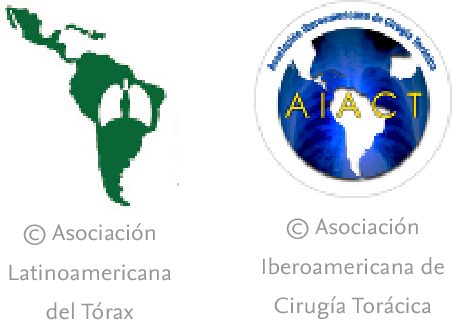 This work was supported by Fondos recibidos por el ISCIII (PI16/00489; DTS15/00145) y fondos FEDER “Una manera de hacer Europa”, the Spanish Respiratory Society (SEPAR) and ResMed Foundation. There no exist any type of participation in the study of these institutions. This work was supported by IRB-Lleida Biobank (B.0000682) and Biobanks’ Platform PT13/0010/0014. D.A. Calhoun, D. Jones, S. Textor, D.C. Goff, T.P. Murphy, R.D. Toto, et al. Resistant hypertension: diagnosis, evaluation, and treatment a scientific statement from the American Heart Association Professional Education Committee of the Council for High Blood Pressure Research. Epidemiology/population studies prevalence of resistant hypertension in the United States, 2003–2008. B.M. Egan, Y. Zhao, R.N. Axon, W.A. Brzezinski. Uncontrolled and apparent treatment resistant hypertension in the U.S. 1988–2008. A. De La Sierra, J. Segura, J.R. Banegas, M. Gorostidi, J.J. De La Cruz, P. Armario, et al. Clinical features of 8295 patients with resistant hypertension classified on the basis of ambulatory blood pressure monitoring. S.L. Daugherty, J.D. Powers, D.J. Magid, H.M. Tavel, F.A. Masoudi, K.L. Margolis, et al. Incidence and prognosis of resistant hypertension in hypertensive patients. M. Sánchez-de-la-Torre, F. Campos-Rodriguez, F. Barbé. Obstructive sleep apnoea and cardiovascular disease. C. Gonzaga, A. Bertolami, M. Bertolami, C. Amodeo, D. Calhoun. Obstructive sleep apnea, hypertension and cardiovascular diseases. G. Torres, M. Sánchez-De-La-Torre, F. Barbé. Relationship between OSA and hypertension. Are sleep-related breathing disorders important contributing factors to the production of essential hypertension?. A.G. Logan, S.M. Perlikowski, A. Mente, A. Tisler, R. Tkacova, M. Niroumand, et al. S.C. Gonçalves, D. Martinez, M. Gus, E.O. De Abreu-Silva, C. Bertoluci, I. Dutra, et al. Obstructive sleep apnea and resistant hypertension: a case–control study. R.P. Pedrosa, L.F. Drager, C.C. Gonzaga, M.G. Sousa, L.K.G. De Paula, A.C.S. Amaro, et al. M.P. Schlaich, R.E. Schmieder, G. Bakris, P.J. Blankestijn, M. Böhm, V.M. Campese, et al. International expert consensus statement: percutaneous transluminal renal denervation for the treatment of resistant hypertension. L. Lozano, J.L. Tovar, G. Sampol, O. Romero, M.J. Jurado, A. Segarra, et al. Continuous positive airway pressure treatment in sleep apnea patients with resistant hypertension: a randomized, controlled trial. A.Y. Litvin, Z.N. Sukmarova, E.M. Elfimova, A.V. Aksenova, P.V. Galitsin, A.N. Rogoza, et al. Effects of CPAP on “vascular” risk factors in patients with obstructive sleep apnea and arterial hypertension. R.P. Pedrosa, L.F. Drager, L.K.G. De Paula, A.C.S. Amaro, L.A. Bortolotto, G. Lorenzi-Filho. Effects of OSA treatment on BP in patients with resistant hypertension: a randomized trial. M.-A. Martínez-García, F. Capote, F. Campos-Rodríguez, P. Lloberes, M. Josefa Díaz de Atauri, M. Somoza, et al. Effect of CPAP on blood pressure in patients with obstructive sleep apnea and resistant hypertension the HIPARCO randomized clinical trial. M. Sánchez-De-La-Torre, A. Khalyfa, A. Sánchez-De-La-Torre, M. Martinez-Alonso, M. Ángel Martinez-García, A. Barceló, et al. Precision medicine in patients with resistant hypertension and obstructive sleep apnea blood pressure response to continuous positive airway pressure treatment. P. Lévy, M. Kohler, W.T. McNicholas, F. Barbé, R.D. McEvoy, V.K. Somers, et al. J.M. Marin, S.J. Carrizo, E. Vicente, A.G. Agusti. D.J. Kumbhani, P.G. Steg, C.P. Cannon, K.A. Eagle, S.C. Smith, K. Crowley, et al. A.C. de Oliveira, D. Martinez, D. Massierer, M. Gus, S.C. Gonçalves, F. Ghizzoni, et al. The antihypertensive effect of positive airway pressure on resistant hypertension of patients with obstructive sleep apnea: a randomized, double-blind, clinical trial. E.S. Muxfeldt, V. Margallo, L.M. Costa, G. Guimarães, A.H. Cavalcante, J.C. Azevedo, et al. Effects of continuous positive airway pressure treatment on clinic and ambulatory blood pressures in patients with obstructive sleep apnea and resistant hypertension: a randomized controlled trial. A.V. Chobanian, G.L. Bakris, H.R. Black, W.C. Cushman, L.A. Green, J.L. Izzo Jr., et al. L.A. Bazzano, Z. Khan, K. Reynolds, J. He. Effect of nocturnal nasal continuous positive airway pressure on blood pressure in obstructive sleep apnea. Q. Lei, Y. Lv, K. Li, L. Ma, G. Du, Y. Xiang, et al. Effects of continuous positive airway pressure on blood pressure in patients with resistant hypertension and obstructive sleep apnea: a systematic review and meta-analysis of six randomized controlled trials.